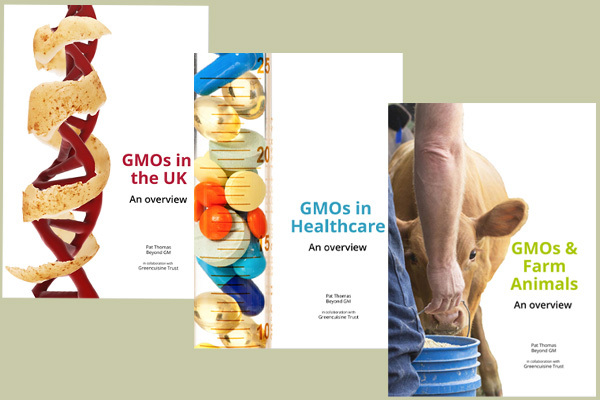 As part of our ongoing work with chefs and others in the food industry we are very pleased to be working with the Greencuisine Trust to produce a series of five downloadable leaflets looking at GMOs in the UK food system. Each one is written to provide an overview where we are now and where we are going. 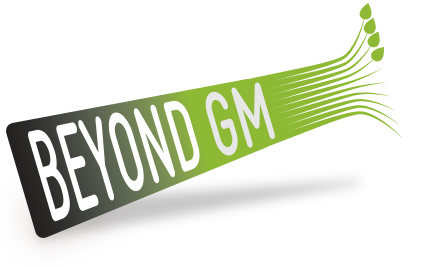 Some of the information, particularly on healthcare and genetically engineered animals may be new to our supporters and we encourage you to read and absorb these new directions for GMO technology. The Greencuisine Trust was founded by medicinal chef and nutritionist Daphne Lambert. Daphne has cooked, studied, taught and written about food all her adult life. She has run a nutritional consultancy practice for over 25 years working with schools, colleges and organisations looking at ways to nourish well being. Through inspiring projects, courses, events and consultancy the Trust aims to explore our relationship with food and encourage ways of growing and eating that nourish people without harming the environment. The leaflets can be viewed and downloaded from the Greencuisine Trust website and also from the publications page on the Beyond GM website.